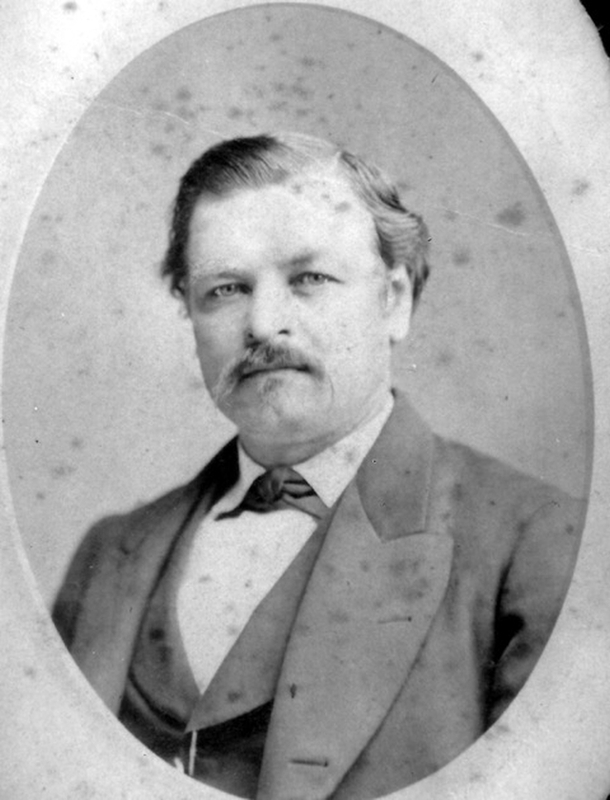 Friederich “Fritz” Rosenbaum was born in Westfalen, Germany, in 1833. 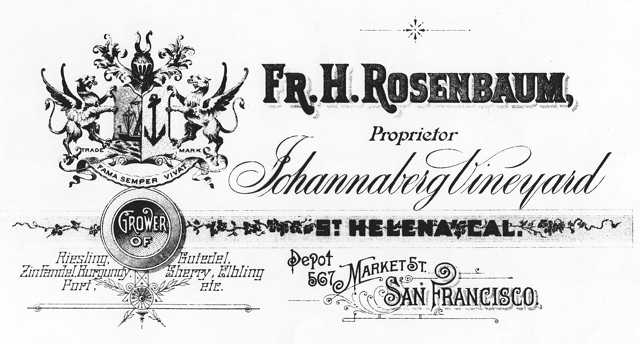 Fritz Rosenbaum was primarily a resident of San Francisco, where he worked as a glass importer. In 1878, Fritz Rosenbaum and his wife, Johanna, built a modern Gothic-Victorian-style home on a knoll north of St. Helena, in the Napa Valley. 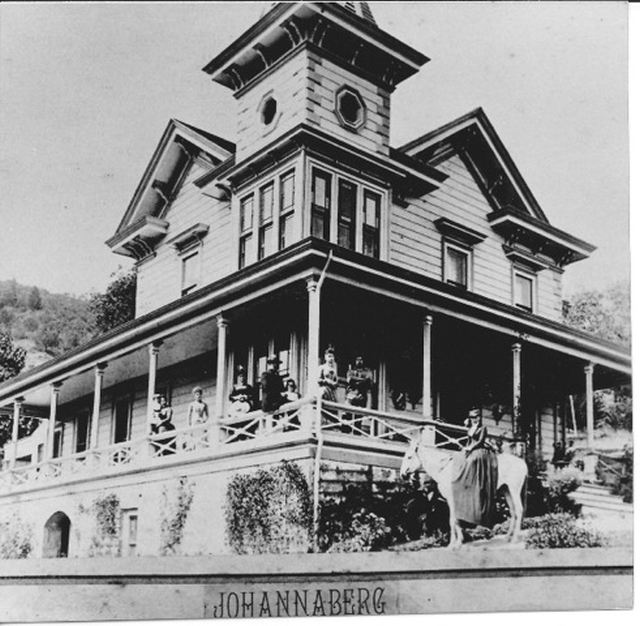 The first wines were vinted in the stone cellars beneath the house in the Johannaberg Cellars, which became one of the earliest bonded wineries in the Napa Valley. The house still stands at 2867 St. Helena Highway on the grounds of St. Clement Vineyards. Fritz and Johanna Rosenbaum had six children: Johanna, Fred, Bertie, Marianne, and Emma. The Rosenbaum family is buried in the St. Helena cemetery. Lauren Chevlen is curator of this Friederich Rosenbaum exhibit.